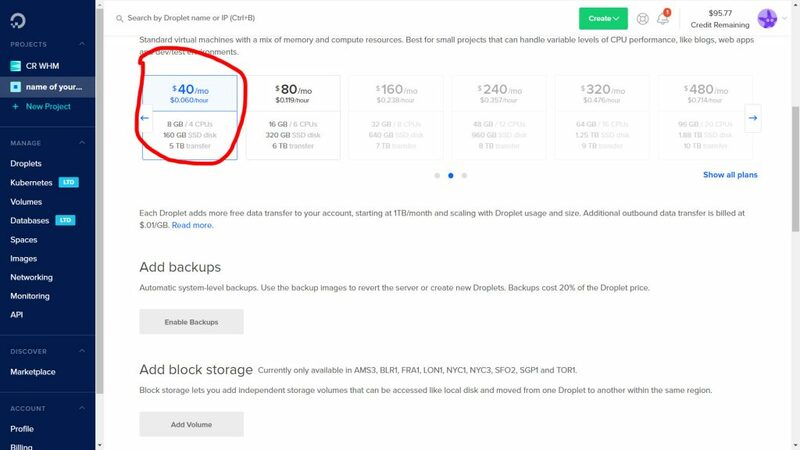 Digital ocean is one the leading cloud hosting provider. They provide most cost effective cloud services available in the market. 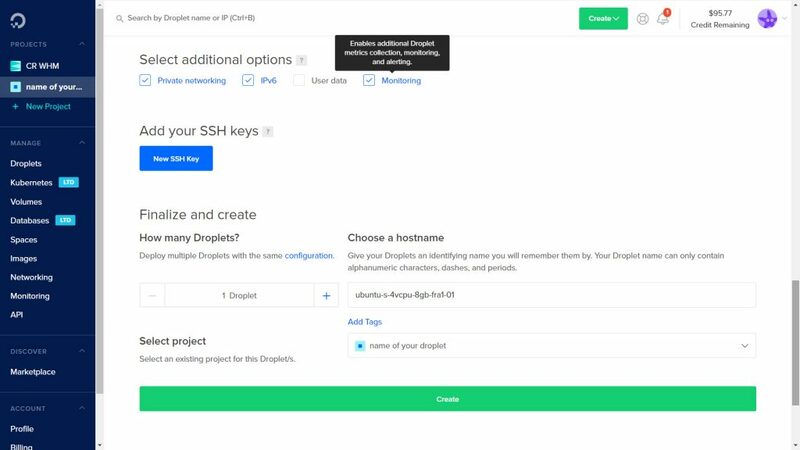 If You already know how to create a digital ocean droplet then you can skip to the WHM installation part. If you are just starting out you can follow along. You can sign up with them using your email id. Confirm you email id and payment method. 2. 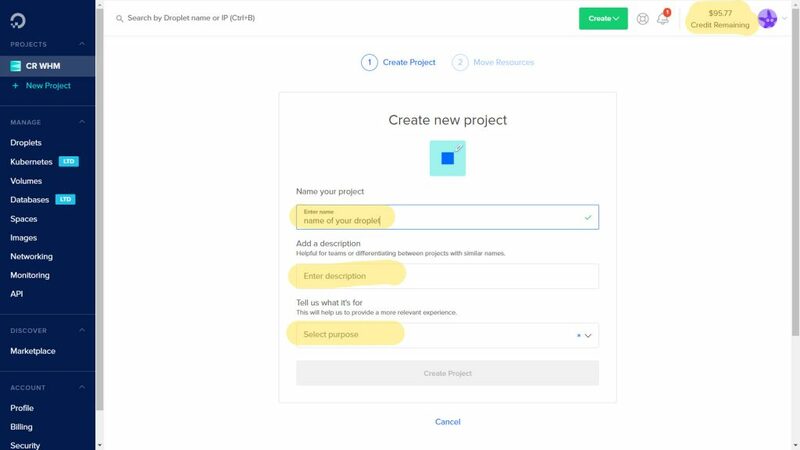 Add a DropLet to the Project. Choose CentOS as image. 4. 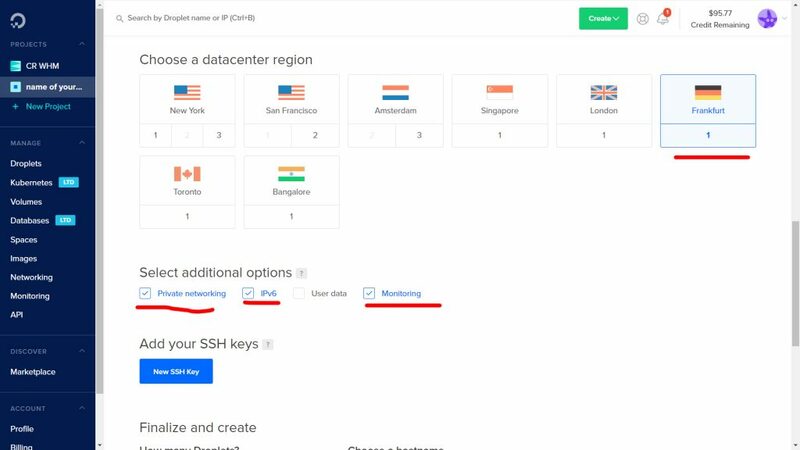 Choose the location of your DataCenter and choose the option as given in the ScreenShot below. 5. 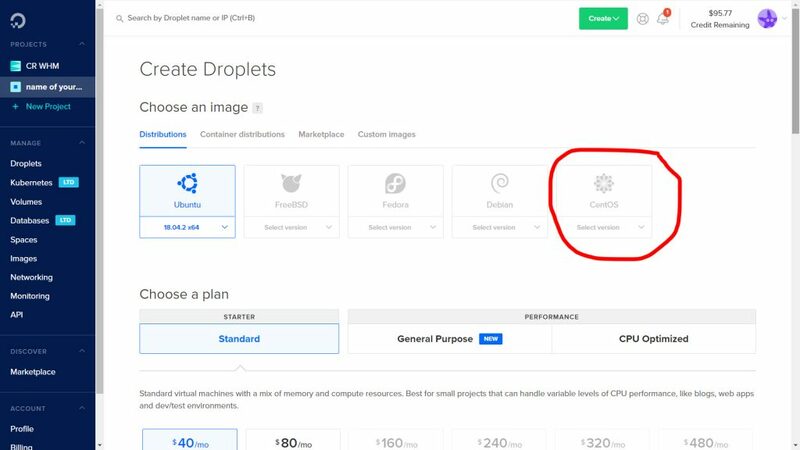 Choose a host name for your Droplet. 6. Now connect to your Console using the Id and Password sent to you in the email. Choose the below option. You can also use SSH programs like PUTTY to connect. You need to run following command in the given order. The complete installing can take 5-10 minutes. After the installation, you will get a URL to login to WHM for the first time. In case the URL expires you can generate the autologin by running the following command. The above command will give a new URL to auto login to the WHM. WHM used the username root and the same password as the server. Changing root password using WHM will also change the root password for server login.